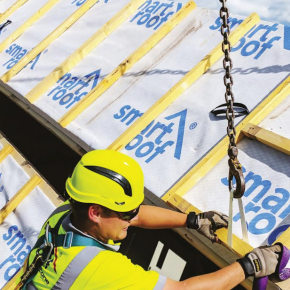 VELUX has been working hard to delay the onset of dementia in Newcastle at Tree Top retirement village by boosting levels of natural light and ventilation with its VELUX Modular Skylights. 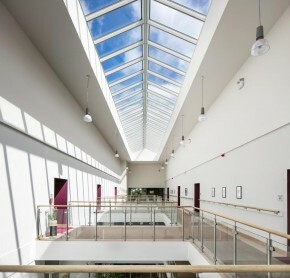 The one-of-a-kind village, managed by Your Homes Newcastle, has had its levels of daylight significantly increased with a central four-storey atrium with a row of 60 VELUX ridgelights and 10 longlights, which according to recent research has beneficial effects on the well-being and recovery rate of patients. The design was influenced by Dr. Hans Becker, a leading expert in the retirement industry, who believes the atrium and rooflights play a large part in creating the crucial ‘contemporary hotel-feel’, encouraging residents to actively engage and participate and ensuring each apartment overlooks the main thoroughfare, reinforcing the community feel. The VELUX Modular Skylights team worked with Wates Construction to value engineer the original curtain walling design envisaged for the rooflights. 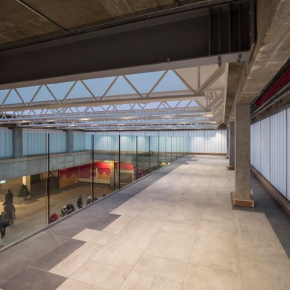 VELUX presented the benefits of its self-supporting ridgelights for the central atrium, which comprised two rows of skylights that add natural light, ventilation and openness to the areas below. 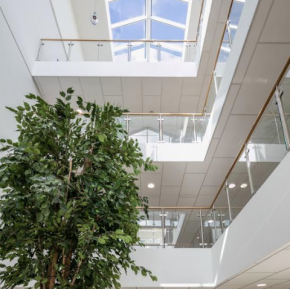 Due to the parallel lines of the ridgelights that run along the orientation of the central atrium and lack of steel sub frame, VELUX offered great aeshetics and a more cost-effective solution. VELUX Longlights are suitable for configurations with a pitch of between 5° and 40° and can be mounted against a vertical wall, enabling the village to strategically maximise daylight in all areas of the facility. VELUX also offers great time and cost savings as its ridgelights and longlights are prefabricated off-site in a factory controlled environment to ensure a perfect fit and easy installation process. 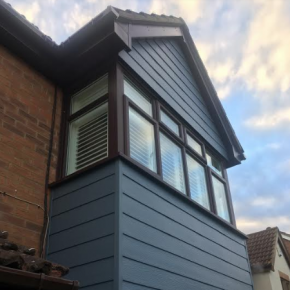 All of the properties at Tree Top achieve Lifetime Homes standards, allowing them to be more easily adapted to meet residents’ needs as their circumstances change and they grow older. 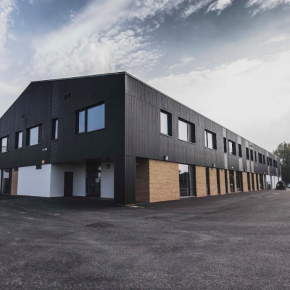 The Phase One development achieved BREEAM ‘Very Good’ accreditation, whilst the Phase Two scheme meets the requirements of the Code for Sustainable Homes Level 3.